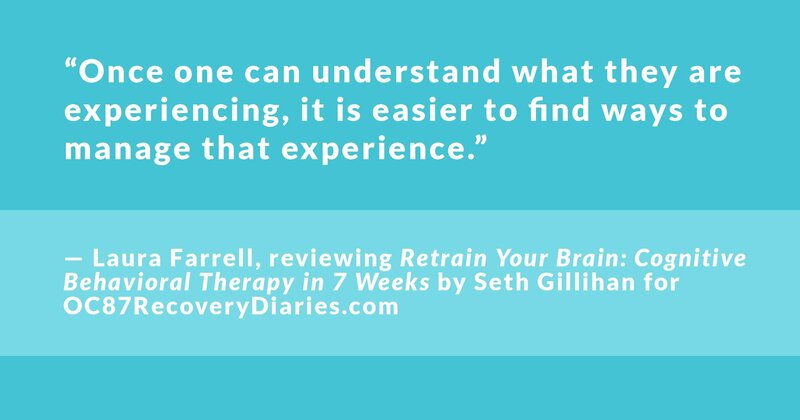 Seth Gillihan’s Retrain Your Brain: Cognitive Behavioral Therapy in 7 Weeks is an interactive guide to Cognitive Behavioral Therapy. This useful resource can provide help for those looking to understand and manage their anxiety and depression. Seth is a licensed psychologist and Clinical Assistant Professor of Psychology in the Department of Psychiatry at the University of Pennsylvania. He completed his Masters in community counseling at The George Washington University and received his PhD in Clinical Psychology at The University of Pennsylvania. 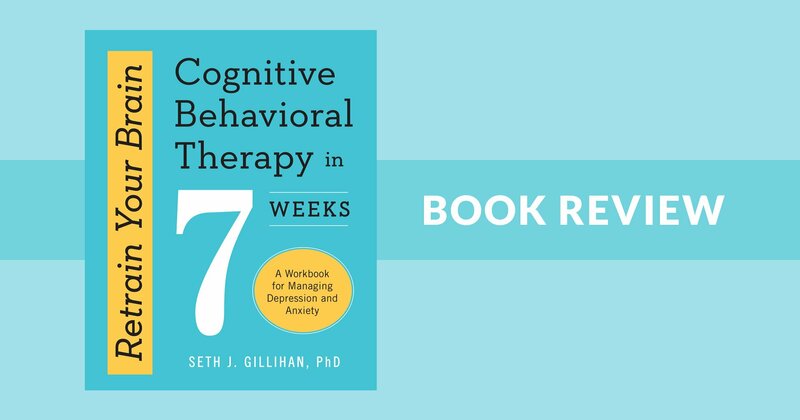 In the book, Seth first defines and describes Cognitive Behavioral Therapy, which, for someone who has heard this term many times but never fully understood it, was incredibly helpful. CBT is a therapeutic modality that helps patients challenge negative or distorted thought patterns that may relate to fears, anxieties, and depressions. He breaks down the different types of disorders under the umbrella of depression and anxiety via the Diagnostic and Statistical Manual (DSM), helping readers identify symptoms and, in turn, understand the complex emotions they may be experiencing in a new way. When one is able to name or identify why they feel the way they do, a newfound sense of clarity is created. Once one can understand what they are experiencing, it is easier to find ways to manage that experience. The interactive nature and checklist set-up that Seth provides allows readers the power to identify with what they can specifically relate to, and then find ways to deal with those symptoms. Seth’s goal in writing this book is an admirable one. 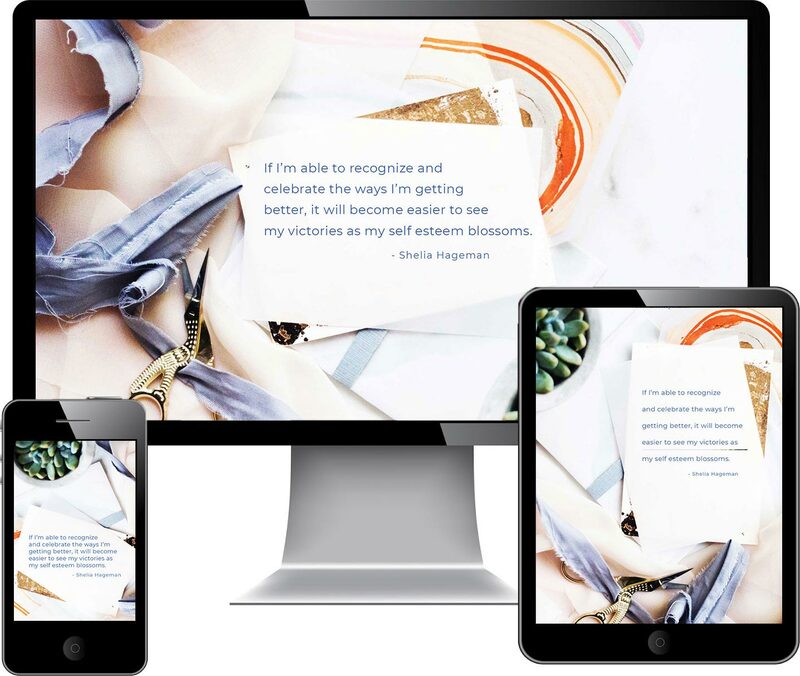 He asks the question, “How can I help people suffer less and live more fully?” The goal of CBT is to replace negative thoughts, which are often exaggerated and unhelpful, with more realistic, useful thoughts. 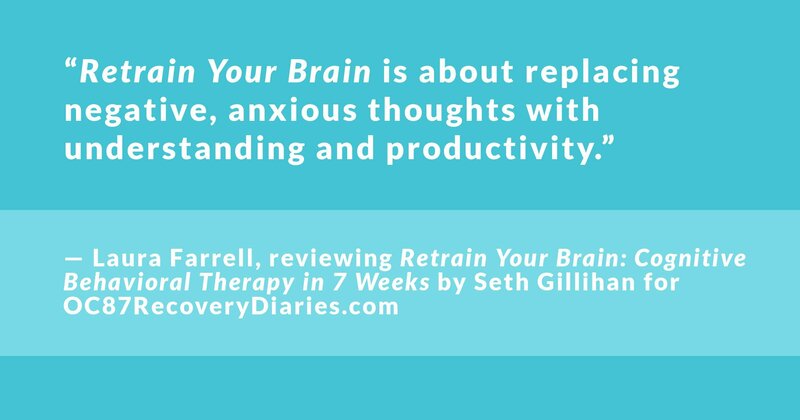 This is what Seth refers to as “training your brain” and the book provides readers with tools to do just that. Retrain Your Brain is about learning to control negative thoughts and understanding why they exist in the first place. It is about replacing negative, anxious thoughts with understanding and productivity. The book follows a seven week schedule, the goal being for readers to begin finding ways to cope with their mental health challenges. This is accomplished through examples, checklists and prompting questions to help readers uncover the source of their anxieties and depression. 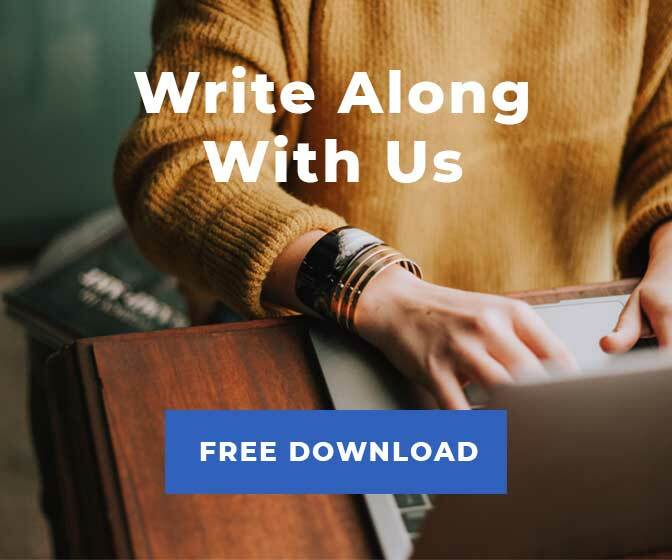 By providing a place for readers to answer questions and prompting them specifically on their experiences with depression and anxiety, Seth creates an interactive and therapeutic landscape that is similar to journaling. Something the book achieves that journaling cannot is the structure of specific prompts and the helpful information that make the experience of self-exploration feel fuller and more focused. 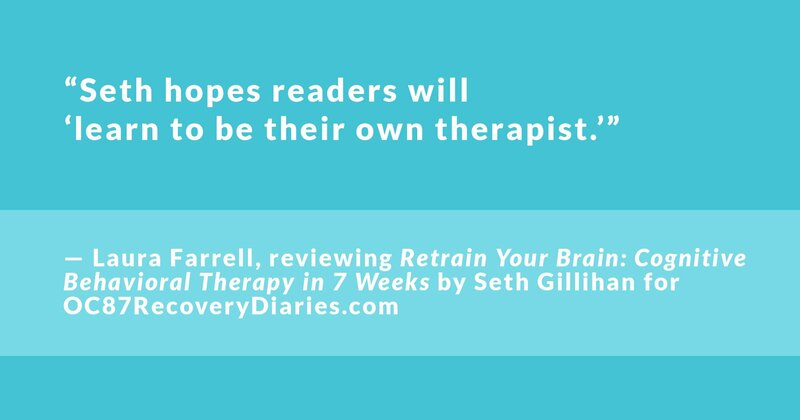 Seth hopes readers will “learn to be their own therapist,” which he states early on in the book. To me, the book is a helpful tool but in no way could replace therapy. When I started to read the book, I asked myself, can creating the experience of therapy in a book potentially become a dangerous thing? What if one is triggered and does not know how to cope? 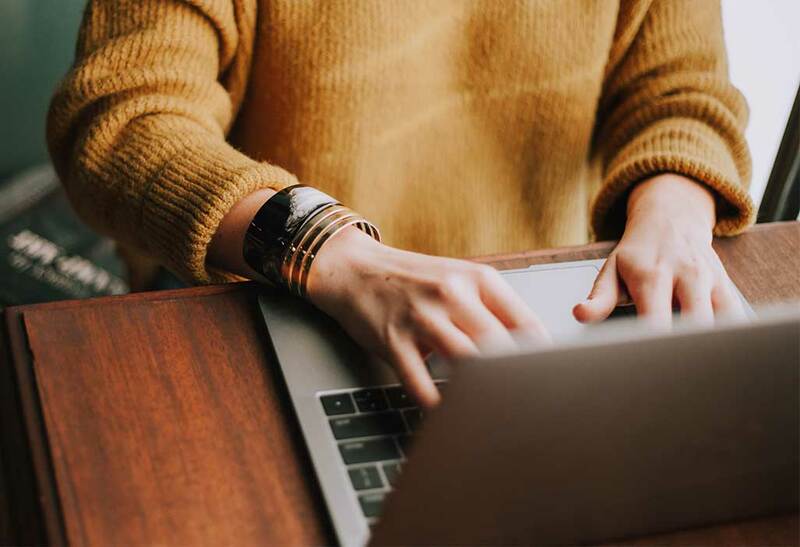 Developing a treatment plan that is outside of the typical therapeutic convention — a treatment center or therapist’s office — can potentially be problematic, especially if one is dealing with serious or extreme anxiety, depression or other psychological condition. That being said, the book is a very helpful tool. However, within one’s mental health recovery process, one needs many tools and different tools help different people. I do not think any book could be a substitution for therapy, but this book could be an important addition for many within their recovery processes. The seven week timeline is a useful and approachable tool to help readers stay on track. Each week, Seth slowly guides one’s understanding of therapeutic practices and their own mental health. In that way, he teaches readers to use CBT to help control their thoughts and understand their depression or anxiety. Retrain Your Brain is, essentially, a self-help book developing a treatment plan for its readers. When I began reading the book I feared that this “plan” would oversimplify one’s experience of depression and anxiety. But Seth puts it well as he says, “no two experiences of depression or anxiety are the same.” The “landscape of one’s life” varies. 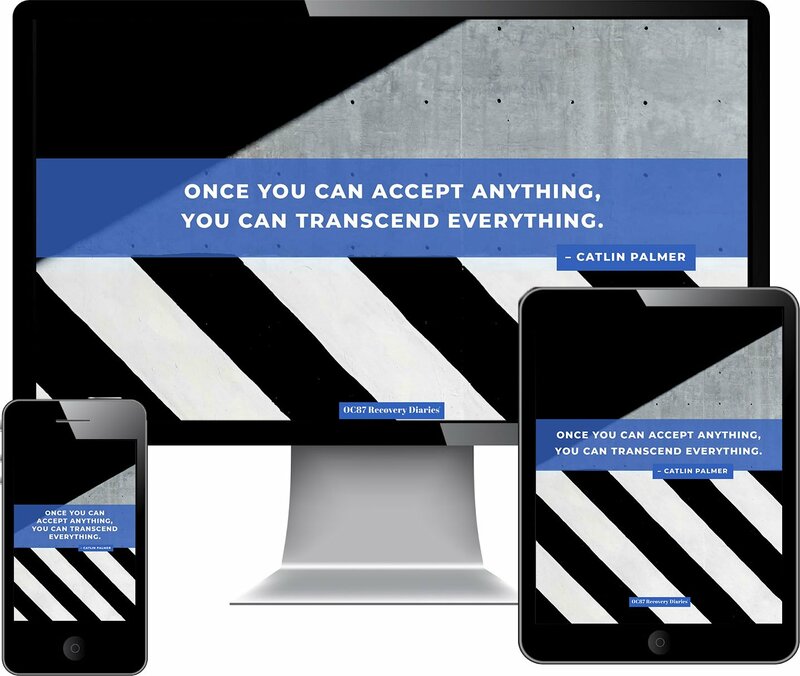 He uses specific examples that people experiencing different things could still easily find relatable. The book also includes places for its readers to fill in their specific experiences, making it more about the reader’s experience. At times, the questions Seth includes feel like leading questions, which had me worried that they could trigger a reader or have someone feeling like they are to blame for their depression or anxiety. However, Seth also provides strategies to combat these potential concerns. Seth does not want people to be critical of themselves for feeling the way they do, instead the hope is for the readers to understand and change their behaviors based on that understanding. An important tool, and key strategy of CBT, that Seth provides is inserting one’s own thought into their fears and anxieties. This is a similar technique that I learned when I was in therapy. For example, some people experience anxiety when they are driving and they approach a bridge. When one sees a bridge; that is not the only reason one feels fear. In actuality, one sees a bridge and thinks, I may lose control of my car and plunge into the water below, and that is where the fear stems from. It is important to insert ourselves and our thoughts within our anxieties so we can more clearly understand and track them instead of allowing them to spiral out of control. 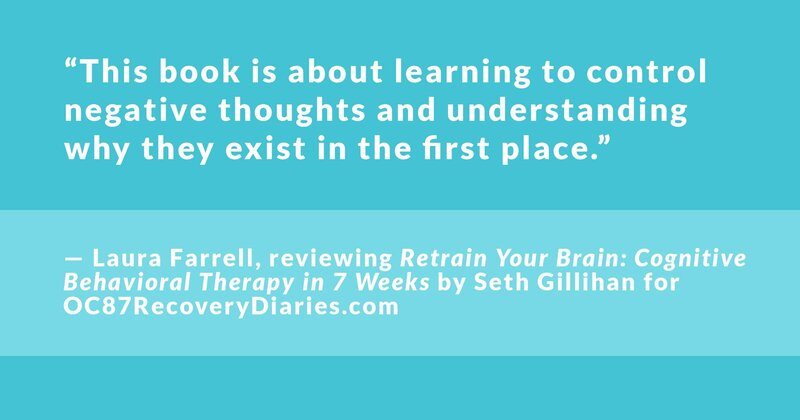 Seth not only provides tools for others to combat anxiety and depression but he also inserts himself into the book. On page thirty-three, he describes his anxiety to finish the book as a motivator. By making himself a character within the story of anxiety, he becomes more relatable and therefore more trustworthy. As a reader, knowing that the author, too, struggles with anxiety makes it easier to follow along with his ideas and what he has to say since he also experiences these symptoms. Busting mental health stigma, one story at a time. 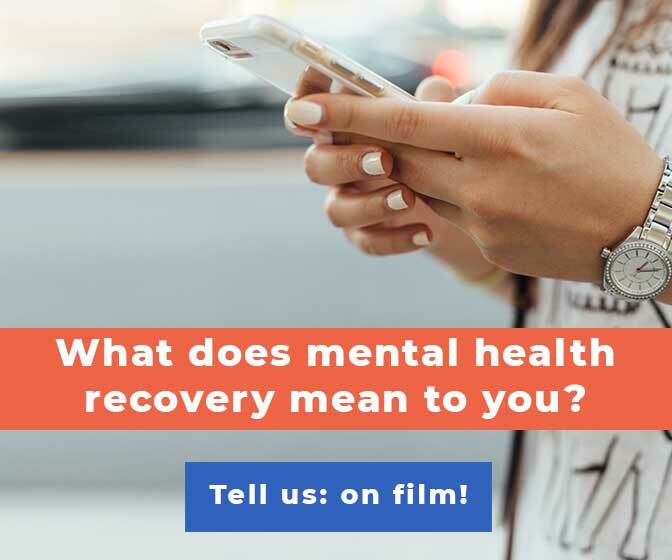 Get our weekly recovery stories email. In some ways, Seth’s set-up makes it feel as though he is simplifying problems by saying they are always related to a direct cause (the attack of the dog, an injury, a storm on the bridge), however, some fears, anxieties, and bouts of depression do not stem from a particular incident. Nevertheless, the strategies are still helpful for readers to explore why they feel the way they do, but I do not think answers are always that clear. Retrain your Brain is a helpful tool. There are many steps in self-exploration and understanding and I think this is a useful one. By reading and reviewing this book, I learned more about CBT and the way to use the practices to understand my issues and anxieties. In that regard, the book gives the reader control and power over their mind. 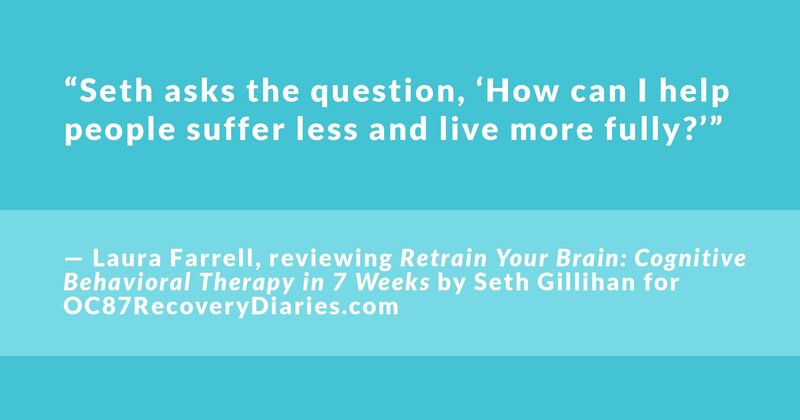 Retrain Your Brain: Cognitive Behavioral Therapy in 7 Weeks by Dr. Seth Gillihan is 236 pages, published by Althea Press. It is available for purchase on amazon.com. #BustStigma with a tax deductible donation now. Laura Farrell is a New School graduate who studied creative writing. She grew up outside of Philadelphia and first became interested in the recovery process while working with PTSD patients. 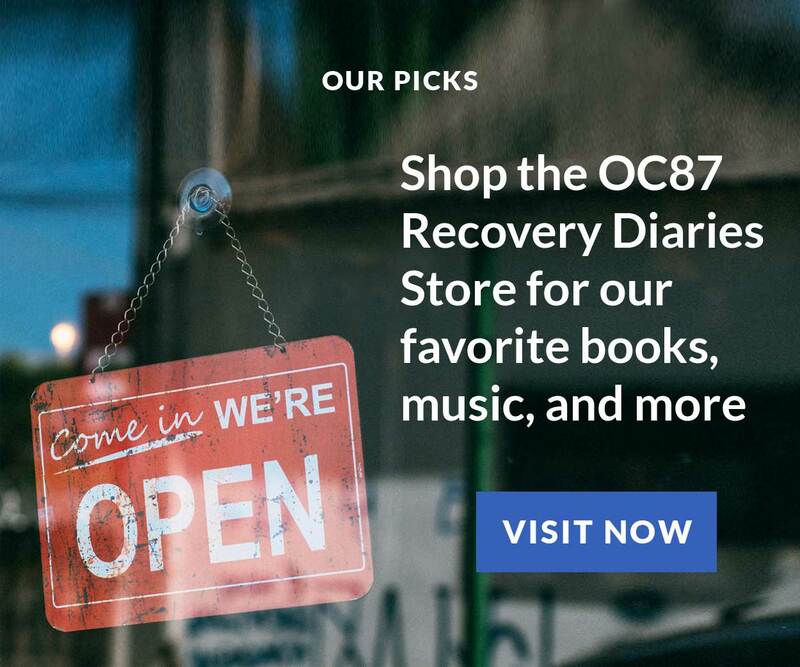 Her passion grew as she struggled with her own mental health challenges and was so happy to become a part of OC87 Recovery Diaries. Laura loves making all types of creative work: writing, visual, singing, dancing among other things. I should probably explain a few things. I'm not crazy. I suffer from major depression, as well as generalized anxiety disorder. I'm basically a shut-in.